Ft Lauderdale Airport (FLL) located in Fort Lauderdale; in Broward County, Florida; is the closest commercial airport to Fort Lauderdale's and Hollywoods's world-class beaches, the Broward Center for the Performing Arts, the Museum of Discovery and Science with its IMAX Theater, the Museum of Art, the Florida Grand Opera, the Fort Lauderdale Historical Center and more. For Hotels near Fort Lauderdale Airport call toll Free 800-327-1390.
www.fll.net. The airport phone number is (954) 359-1200. Our site is used solely to promote tourism in the city of Fort Lauderdale and is owned and operated by Hotel411.com. Many travelers, especially those on business, prefer to stay in close proximity to the airport. Fort Lauderdale is a great city to visit, however, if you're in town on business, it may not be in your best interest to make a special trip into the city with a gerat deal on a car rental. If this is the case, there are a number of rental options around each airport. For day tours of the island, visit Fort Lauderdale city and Everglades Tours. Deciding where to stay on your trip? There are hundreds of hotels in our region, but if you want to stay near the airport and are looking for nearby hotels, check out this listing, which has links to most of the hotel chain's Web sites. If you'll be needing a rental car, there are many companies to choose from at Ft Lauderdale Airport. On this page you'll find locations, phone numbers and links to their Web sites. 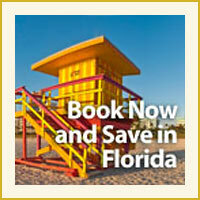 For Hotels near Fort Lauderdale Hollywood Airport call 888-969-0069 or by going to the airport hotels section. The Fort Lauderdale-Hollywood International Airport (FLL) and North Perry Airport (HWO), a general aviation airport, form a diverse and dynamic airport system. This airport system serves the needs of over 23 million annual passengers and the general aviation community throughout South Florida. FLL is ranked 21st in the U.S. in total passenger traffic and 13th in domestic origin and destination passengers. There are more than 300 departure and 300 arrival flights a day. FLL offers nonstop service to more than 100 U.S. cities and international service to Canada, Bahamas, Caribbean, Mexico, Latin America, and Europe. Merle Fogg Airport opened on an abandoned 9-hole golf course on May 1, 1929. At the start of World War II, it was commissioned by the United States Navy and renamed Naval Air Station Fort Lauderdale. The base was initially used for refitting civil airliners for military service before they were ferried across the South Atlantic to Europe and North Africa. NAS Fort Lauderdale later became a main training base for Naval Aviators and enlisted naval air crewmen flying the TBF and TBM Avenger for the U.S. Navy and U.S. Marine Corps aboard aircraft carriers and from expeditionary airfields ashore. NAS Fort Lauderdale was the home base for Flight 19, the five TBM Avenger aircraft that disappeared in December 1945, leading in part to the notoriety of the Bermuda Triangle.